An international attorney with experience from both sides of the pond who counsels global clients through complex technology transactions and intellectual property matters. 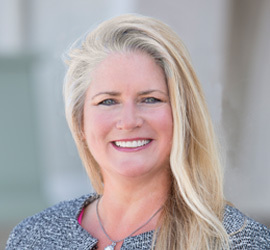 Ms. Haughian’s practice is focused on complex technology and outsourcing transactions, data privacy and security-related issues as well as counseling involving the exploitation, leveraging, and transfer of intellectual property rights. Her experience is in the areas of information technology/software, insurance risk management platforms, biotechnology, financial services, transportation and logistics, and healthcare systems. She is a Certified Information Privacy Professional (US) through the International Association of Privacy Professionals (IAPP) and assists clients in connection with data breach response and mitigation activities. Ms. Haughian is a contributing author to LexisNexis’ Lexis Practice Advisor® Outsourcing module, which provides a variety of materials including articles, checklists and sample annotated agreements to serve as a comprehensive resource for understanding outsourcing transactions. Ms. Haughian has extensive experience in IT, transaction outsourcing, and large-scale software licensing deals with emphasis on SaaS business models and dealing with open source software issues. Ms. Haughian is also skilled in the areas of negotiating systems acquisitions, OEM and distribution transactions as well as performing due diligence on intellectual property portfolios and large technology platforms in the context of mergers and acquisitions. Ms. Haughian also regularly counsels her vendor clients on compliance with HIPAA/HITECH as a Business Associate processing and handling ePHI and negotiates their business associate agreements. Ms. Haughian worked in the U.K. for over two years as a solicitor qualified to practice under the laws of England and Wales. During her time in the U.K., Ms. Haughian worked for one of the largest law firms in the territory, and also with a regional law firm in Cambridge. Her experiences working in the U.K. have provided her with a unique understanding of the notable differences between doing business within the technology sector in Europe, and doing business within the technology sector in the U.S. Ms. Haughian gained a wealth of valuable knowledge and skill through her work experience in the U.K., and is now representing U.S. technology companies and their European subsidiaries, negotiating complex IT outsourcing and software licensing deals with other U.K. entities. As an Air Force wife, she had the privilege of dangling her feet off the back of an MC-130H (Combat Talon II) aircraft while flying over the White Cliffs of Dover in England, and she teaches kickboxing and spinning classes on the weekends.